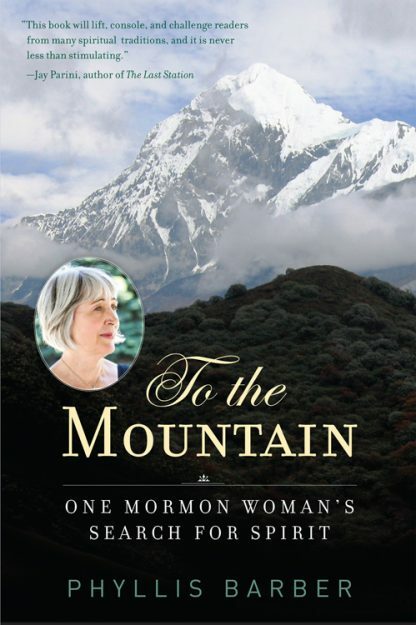 Written by an award-winning writer, this spiritual memoir is distinguished by the author�s Mormonism and literary prose. In a series of thought-provoking, personal essays, Phyllis Barber provides an engaging account of how she left her original Mormon faith and eventually returned to it decades later. Her journey begins in the 1990s. In search of spiritual healing and a deeper understanding of the divine, she travels widely and participates with people of many different persuasions, including Southern Baptists; Tibetan Buddhist monks in Tibet and North India; shamans in Peru and Ecuador; goddess worshipers in the Yucatan; and members of mega-church congregations, an Islamic society, and Gurdjieff study groups. Her 20-year hiatus from Mormonism transforms her in powerful ways. A much different human being when she decides to return to her original religion, her clarity and unflinching honesty will encourage others to continue with their own personal odysseys. Phyllis Barber holds an MFA in Writing from Vermont College and is an award-winning author of both fiction and creative nonfiction. She is the author of seven books and many essays. Her memoir How I Got Cultured won the AWP Prize for Creative Nonfiction in 1991. Barber taught in the Vermont College of Fine Arts MFA in Writing Program in Montpelier, Vermont for nineteen years, was a visiting writer at the University of Missouri/Columbia, and also taught for Lighthouse Writers in Denver and other community education programs throughout the West. She is a cofounder of the Writers at Work Conference in Park City, Utah; an editor and manuscript consultant; and a 2005 inductee into the Nevada Writers Hall of Fame.